In this context, it is sometimes surprising to see mail which does arrive. Look at the little item above. 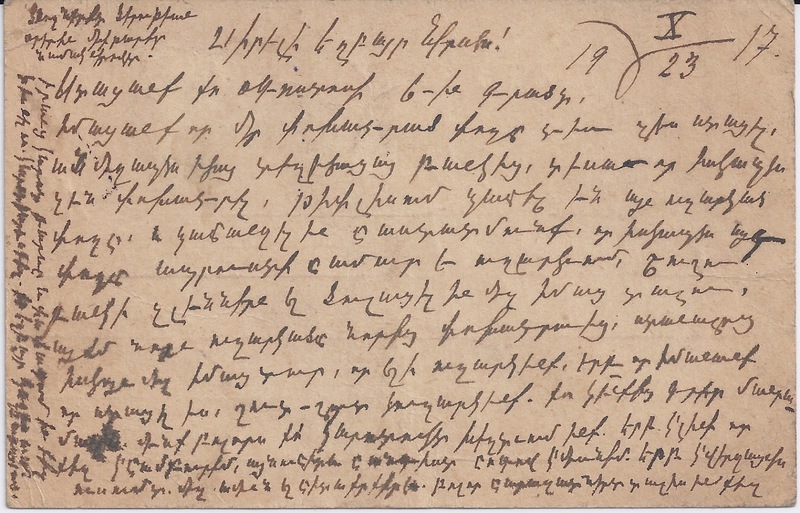 It was posted in Shusha, Elisavetpol guberniya - deep in the Caucasus - on 24 October 1917, which happens to be the last day on which the Provisional Government held power in Petrograd. It was underfranked, the postal stationery card having been uprated to the internal 5 kopeck tariff but no more. But it found its way to Petrograd, arriving of course after the Bolshevik seizure of power, and there it picked up two censor cachets. By some route it was sent on to Switzerland and it may have been there that the fact that it was underfranked was picked up, indicated by the T in circle and the manuscript "15c" above to the right. 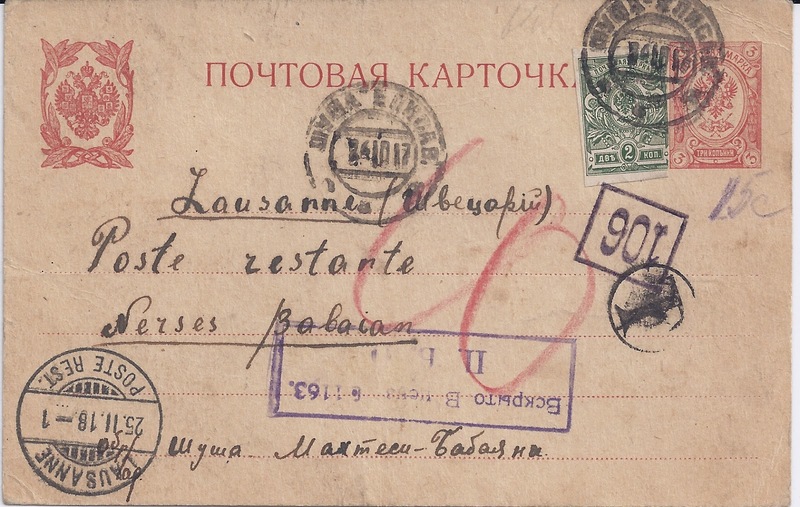 Finally, it arrived at Lausanne's Poste Restante office on 25 February 1918. Allowing for the fact that the Shusha cancellation uses the Old Style calendar, 13 days behind Switzerland's, this little card was nearly four months in transit. On this occasion, one of the Babaians in Shusha succeeded in communicating with a family member in Lausanne. Remarkable! I suppose I should try to establish the details of its most likely route. And get the Armenian translated. Rarities of Soviet Union Postal History ?